Just 2. 3 km from Gröna Lund Amusement Park and 2. 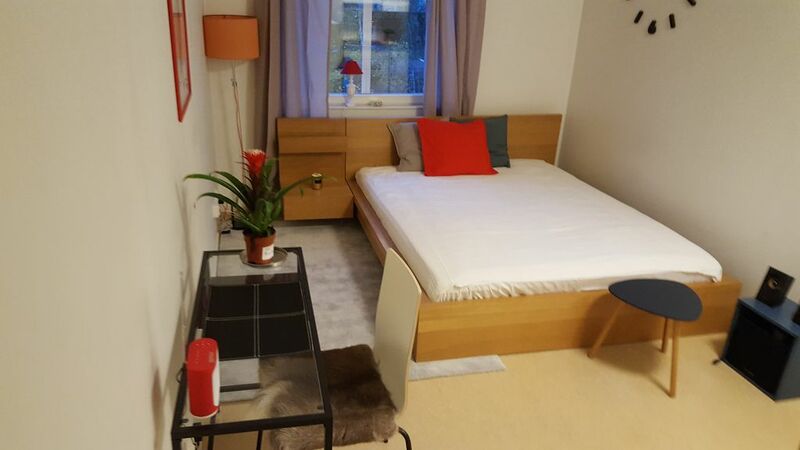 4 km from Ericsson Globe, studio apartment is an apartment in Stockholm with access to a on-site dining. The accommodation is 2.5 km from the Tele2 Arena and boasts free WiFi throughout the property. The apartment includes 1 bedroom, a kitchen with a oven and a microwave, as well as a kettle. Free private parking is available at the apartment. The Vasa Museum is 2.8 km from studio-apartment. Bromma Airport is 11 km from the property. Property was fine, but pretty far from city center. It would have been helpful to have clear tram directions into town. I did like the property, though, so thank you, Anna! Easy accomodation. Need a little information of how to catch public transport, restaurants nearby. Clean and easy. Sehr einfaches Zimmer, tolles Bett, sauber, korrekt, gut Anbindung an ÖPV. Allerdings echt sehr klein. There is a tram line nearby with a good frequency to go downtown. Many shops and restaurants in the neighborhood. It's not very handy however to eat in the apartment.